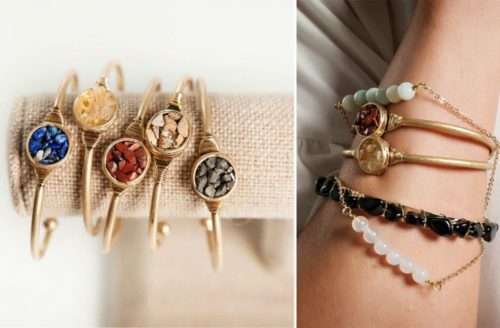 Groopdealz has Stone Pendant Bracelet Cuff for $6.99 (Reg. $16.00). Perfect for every wrist. Adjustable Cuff with beautiful natural stones in round setting.